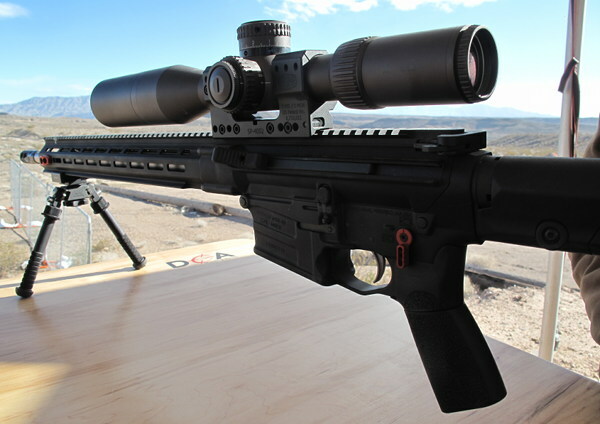 SIG Sauer SRD22 mounted on Ruger Precision Rimfire rifle. 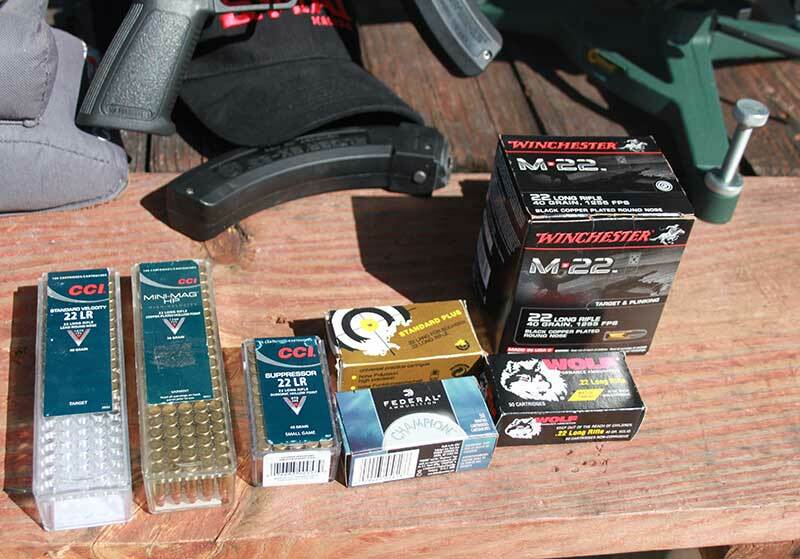 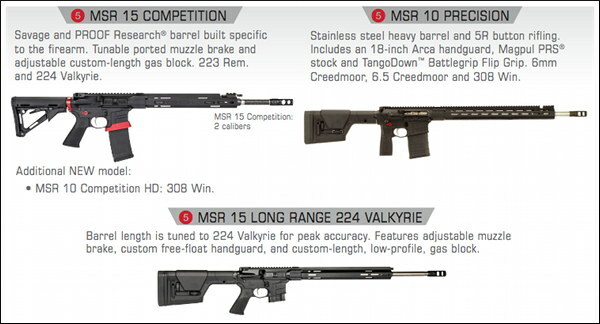 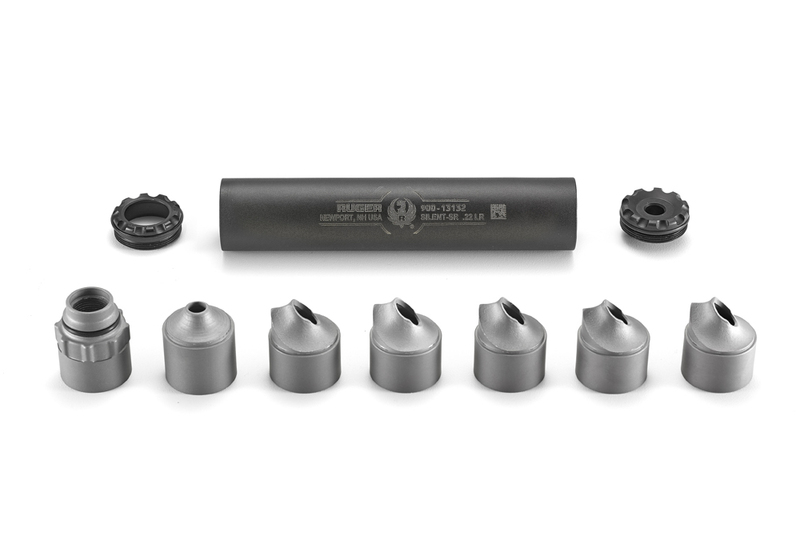 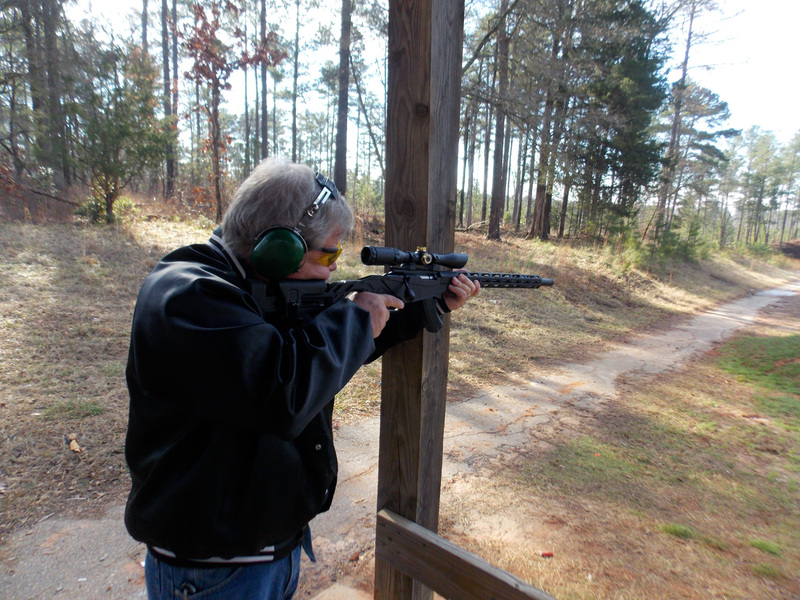 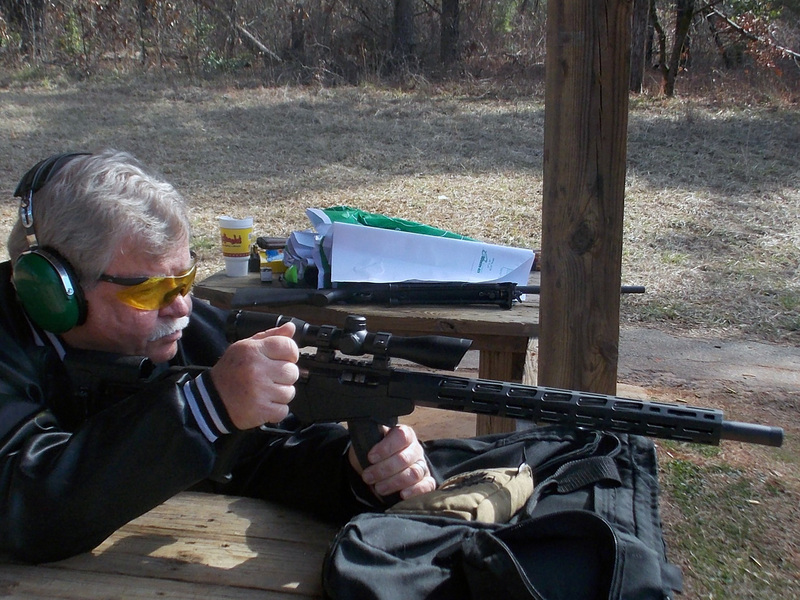 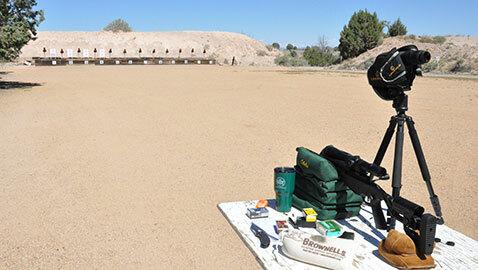 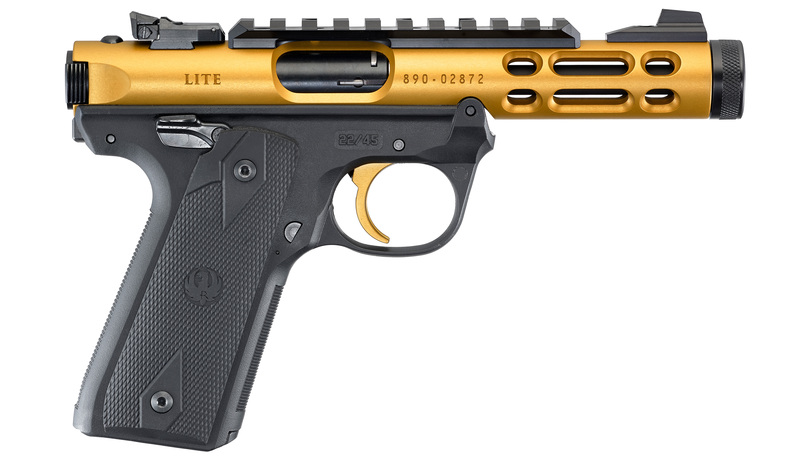 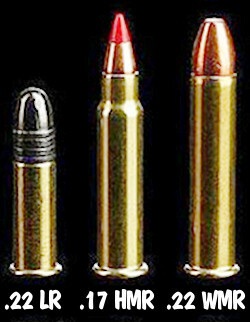 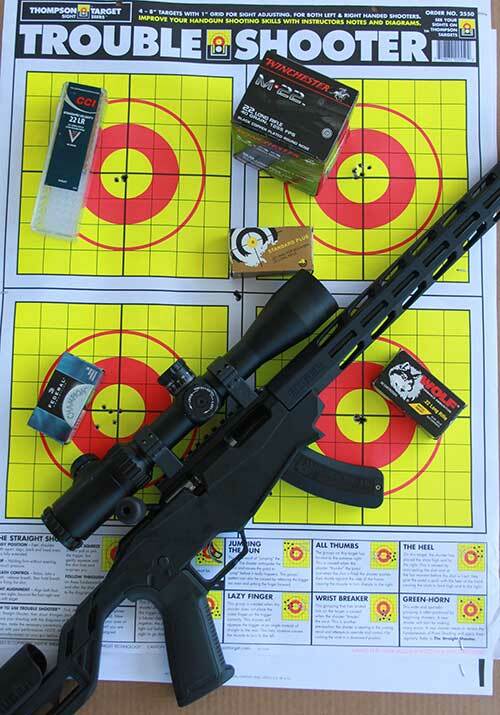 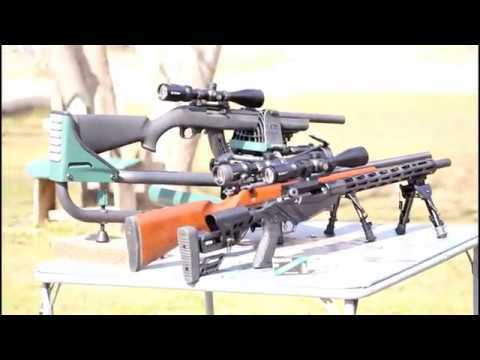 Various ammunition was tested with Ruger Precision Rimfire. 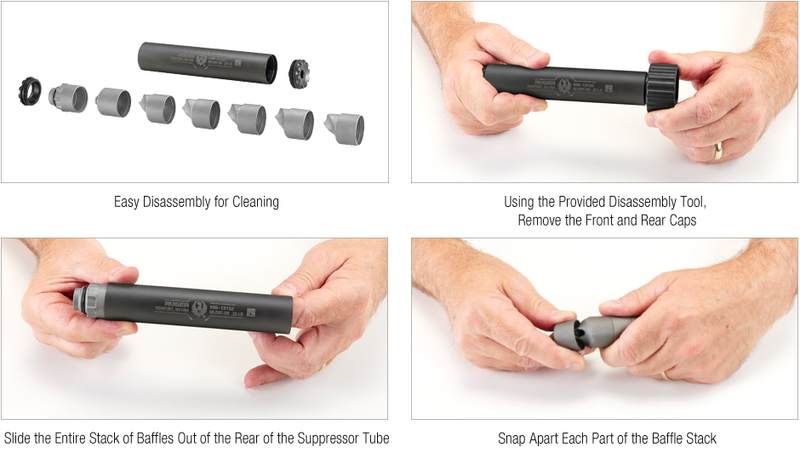 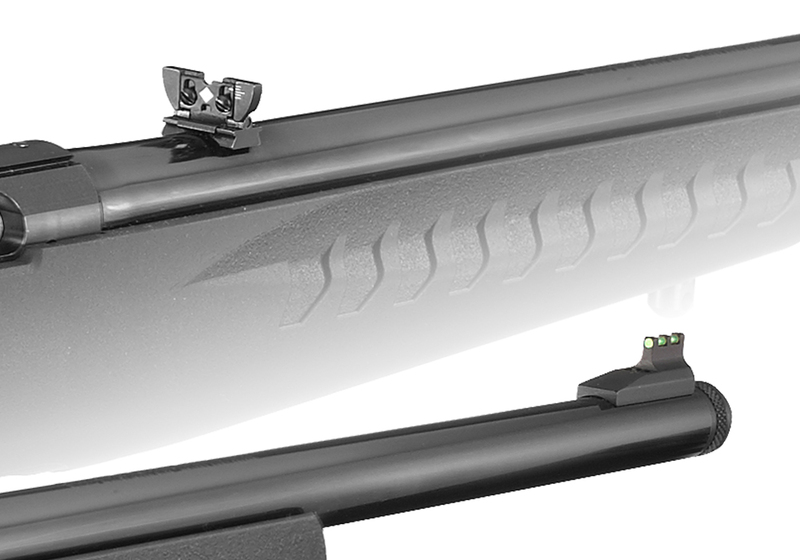 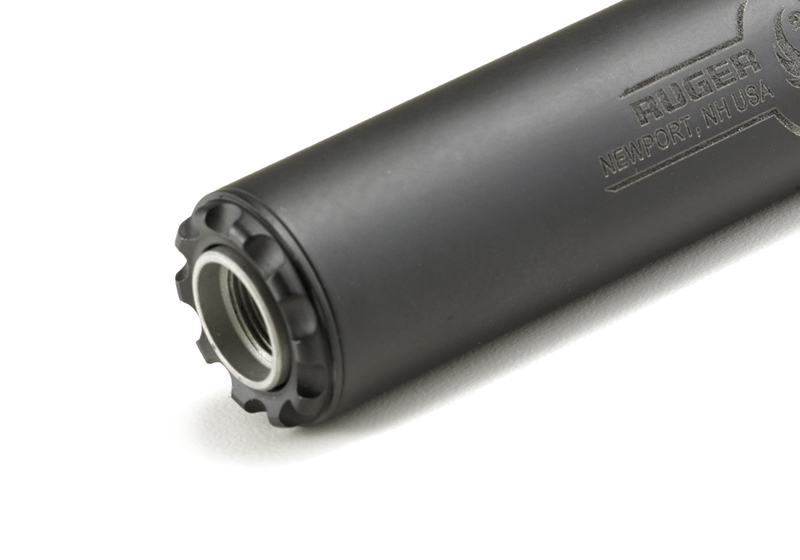 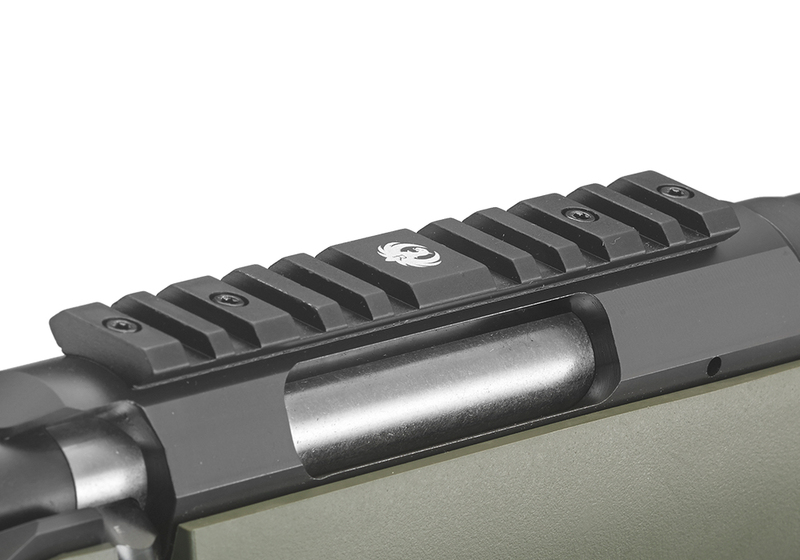 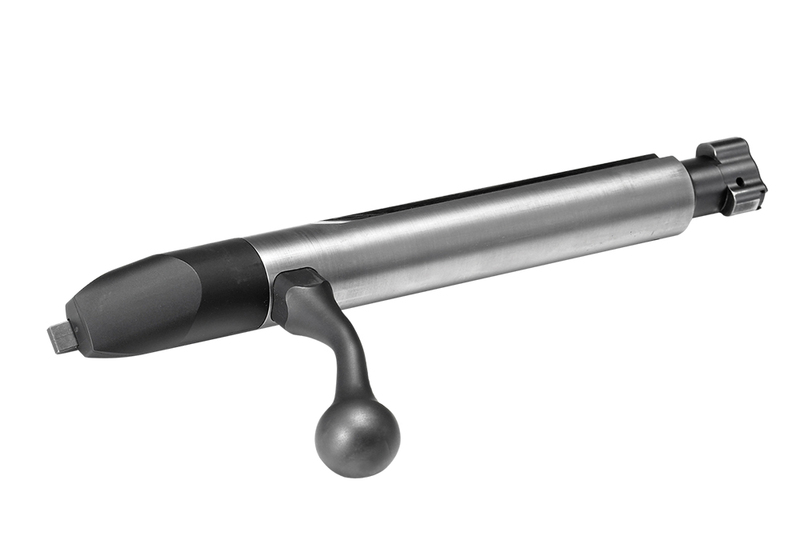 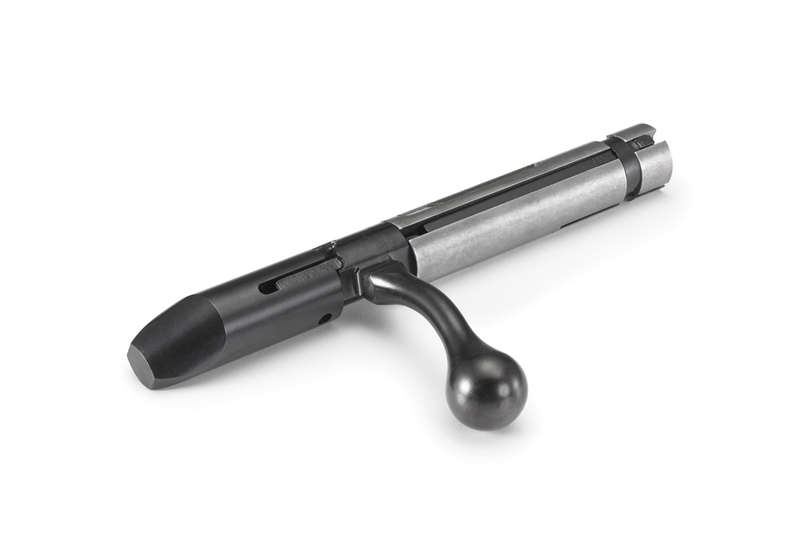 A 3/8" rimfire scope base is machined into the receiver, which is also drilled and tapped for Weaver® #12 bases (not included). 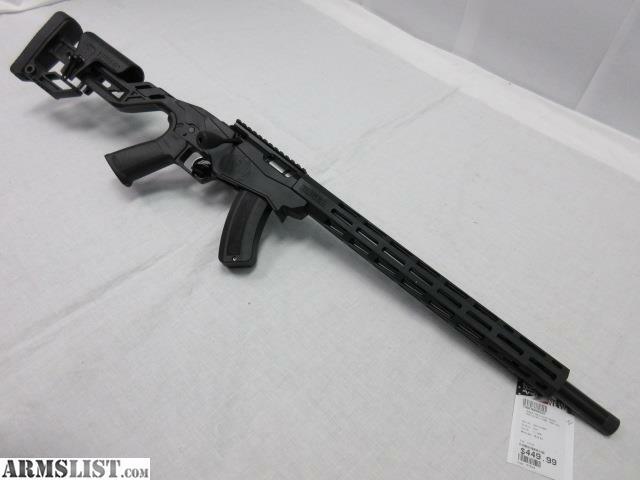 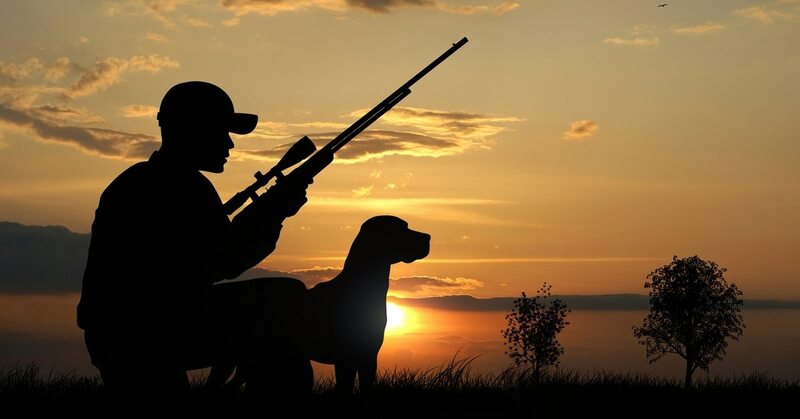 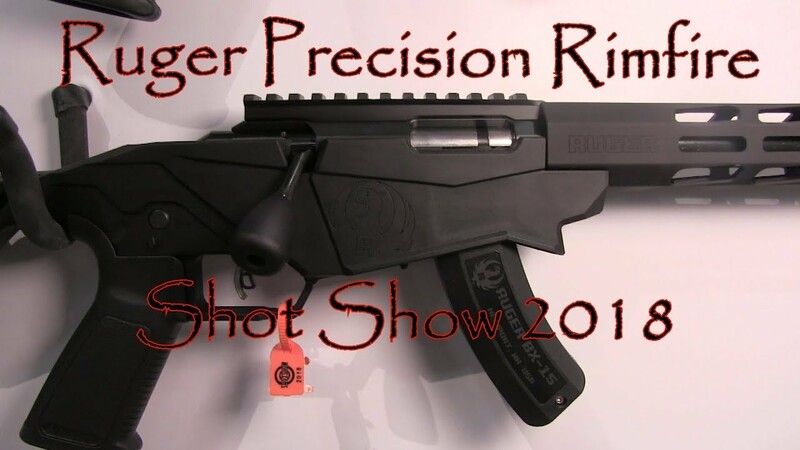 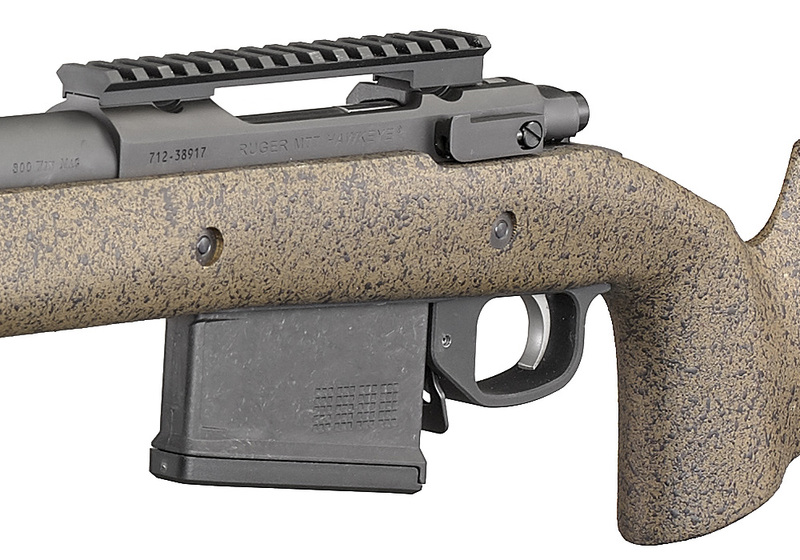 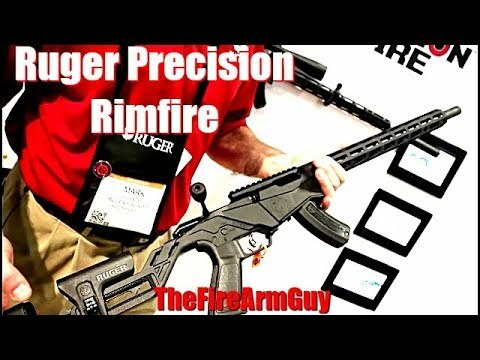 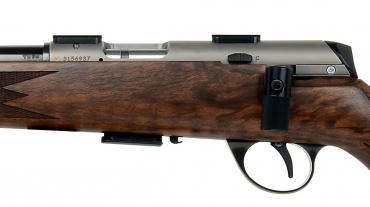 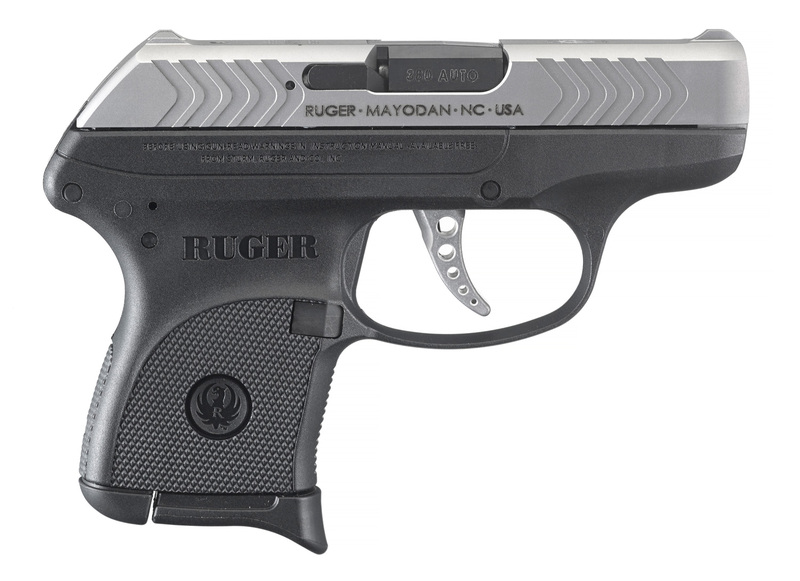 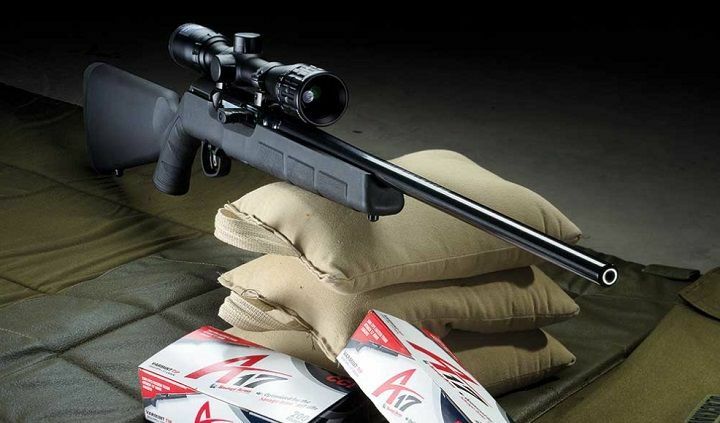 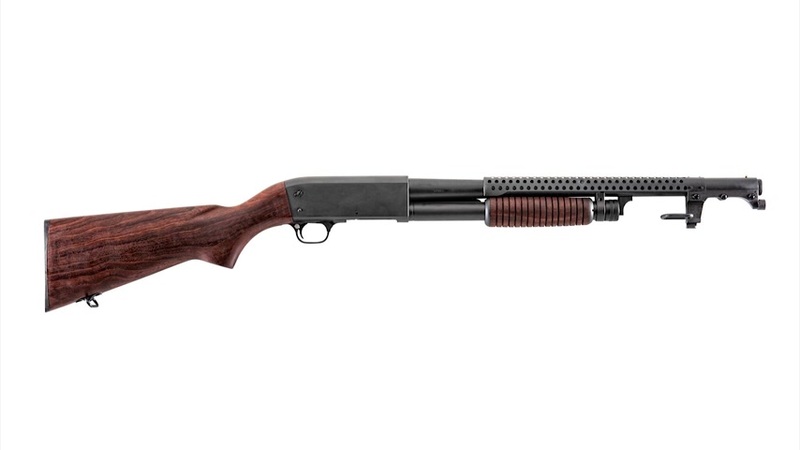 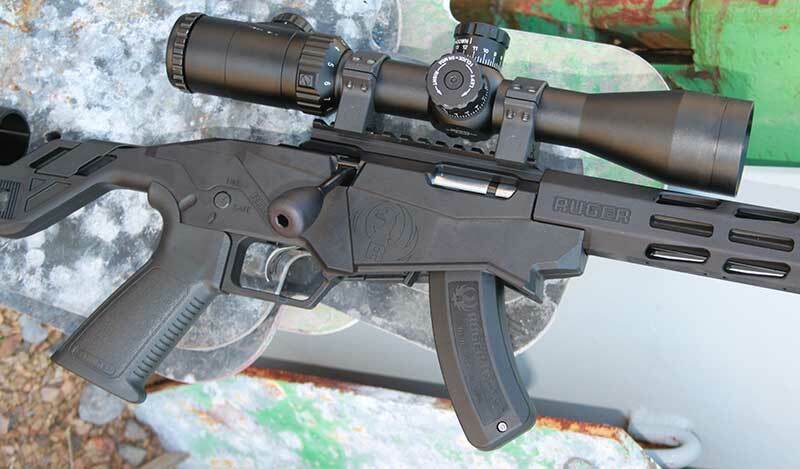 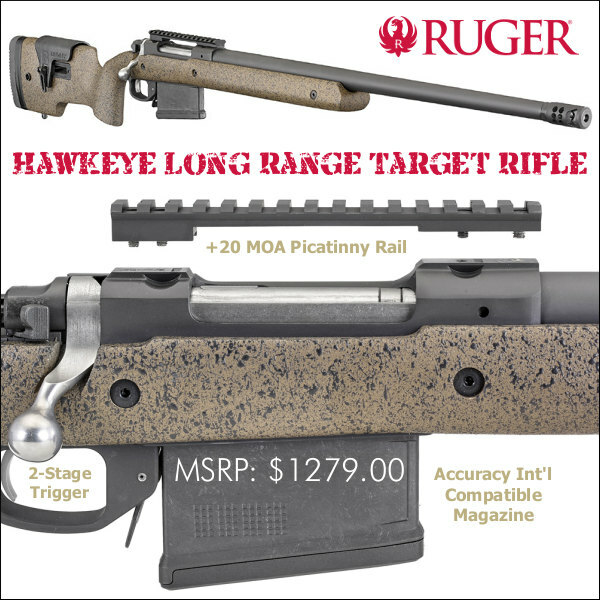 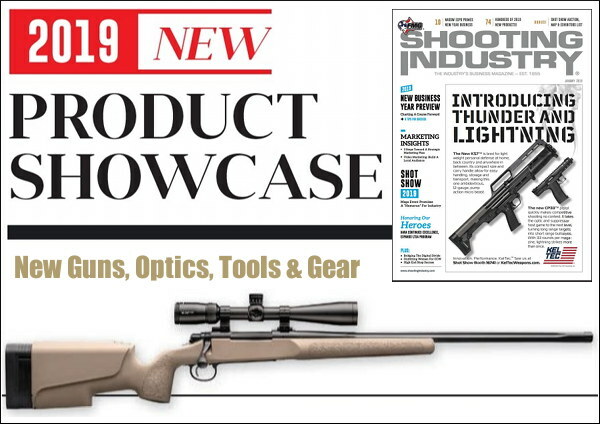 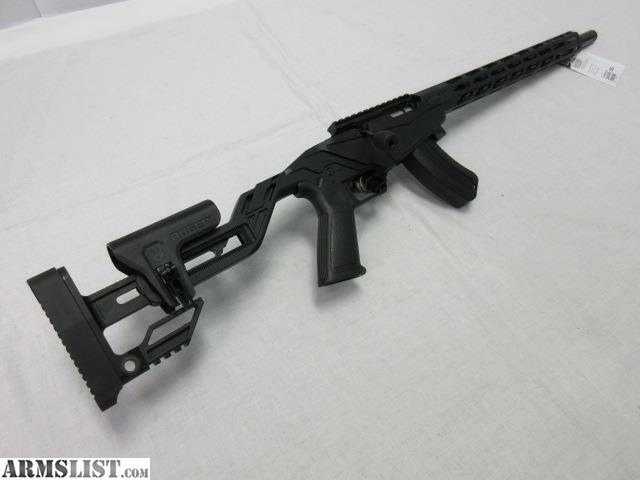 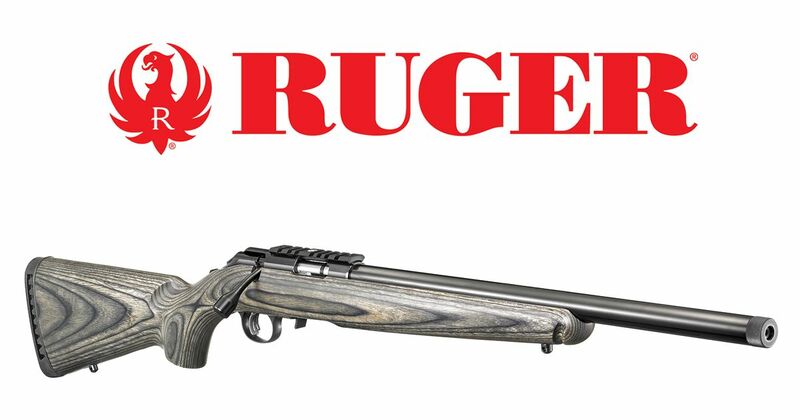 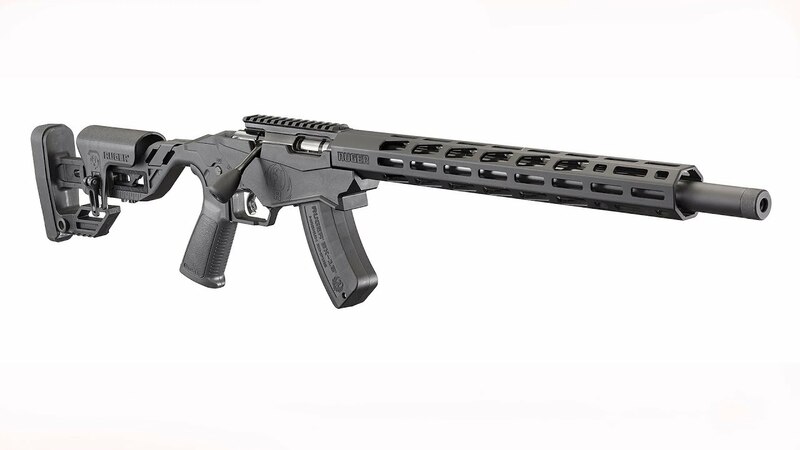 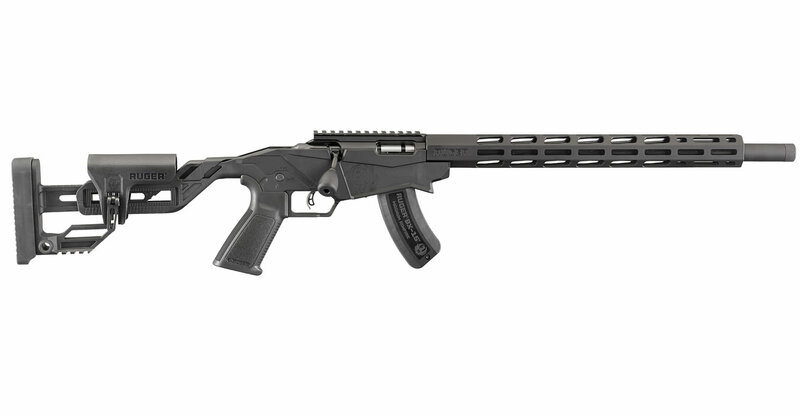 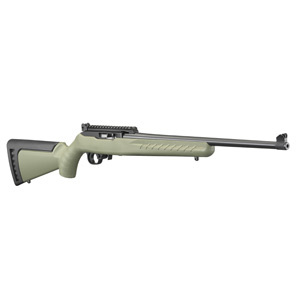 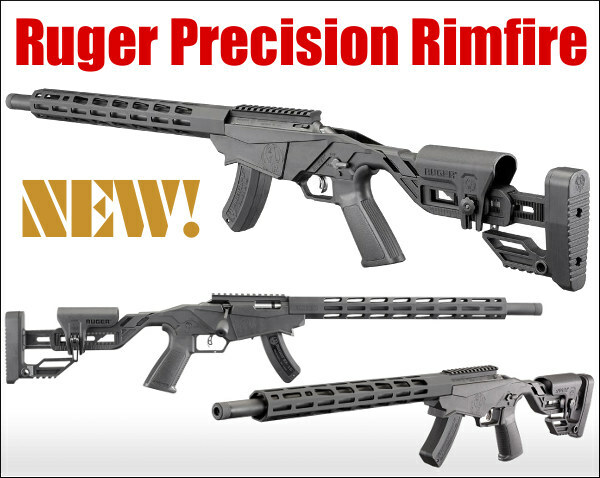 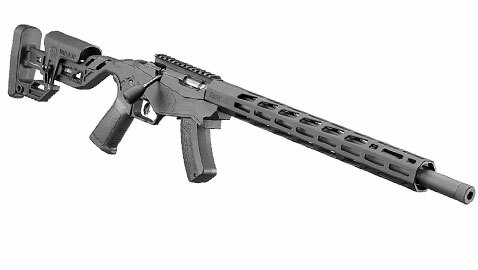 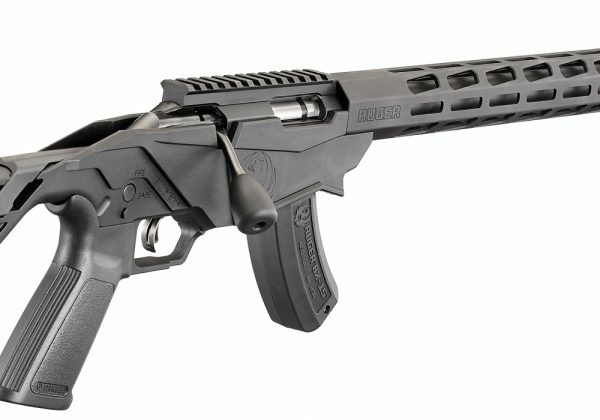 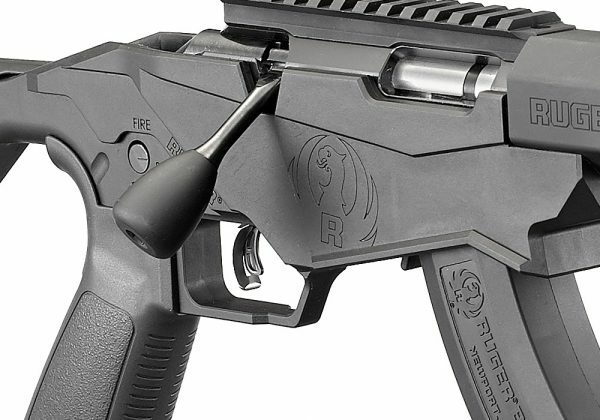 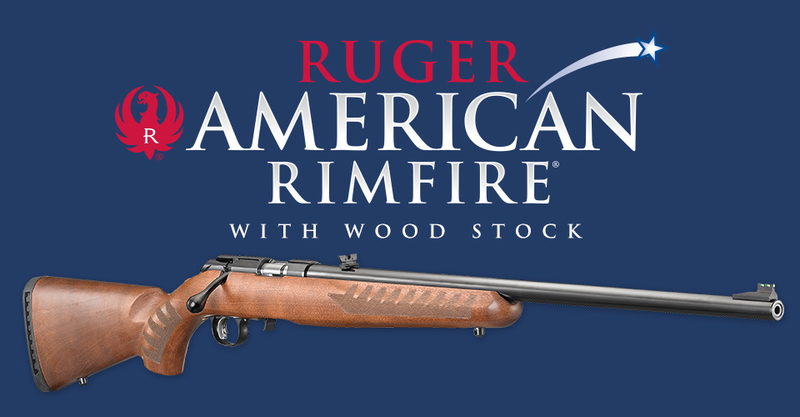 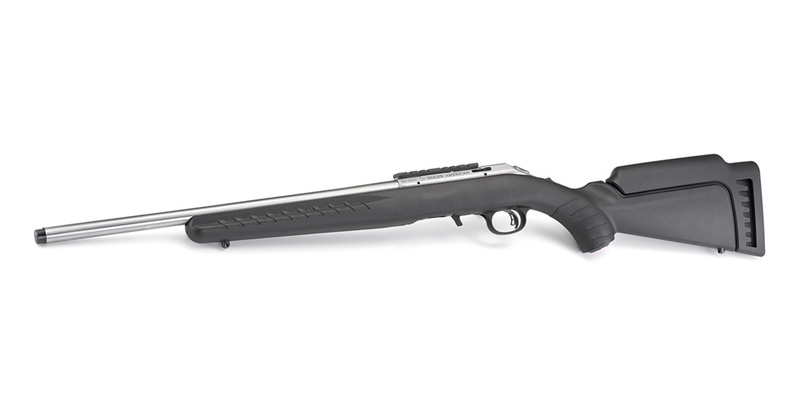 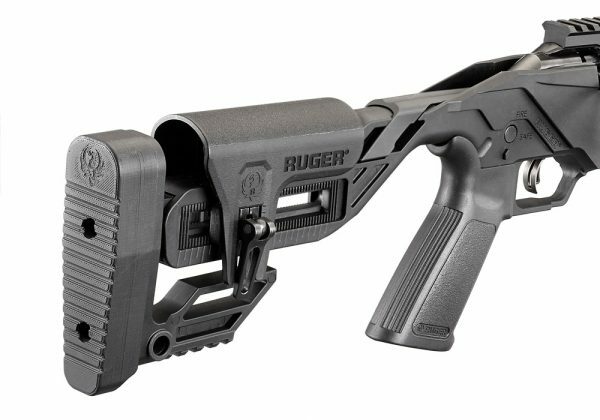 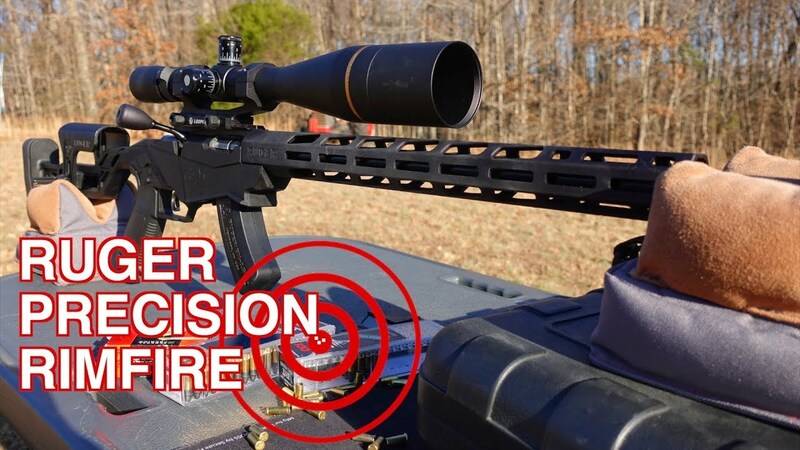 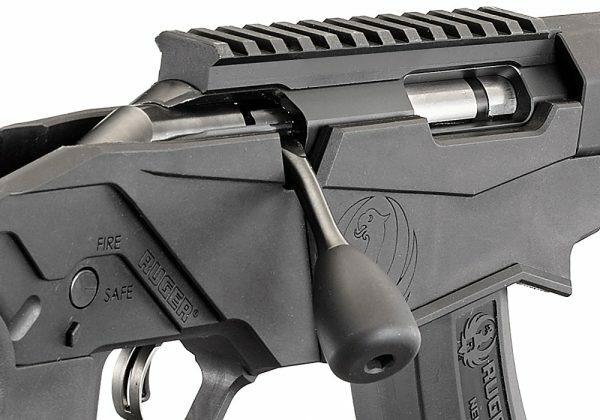 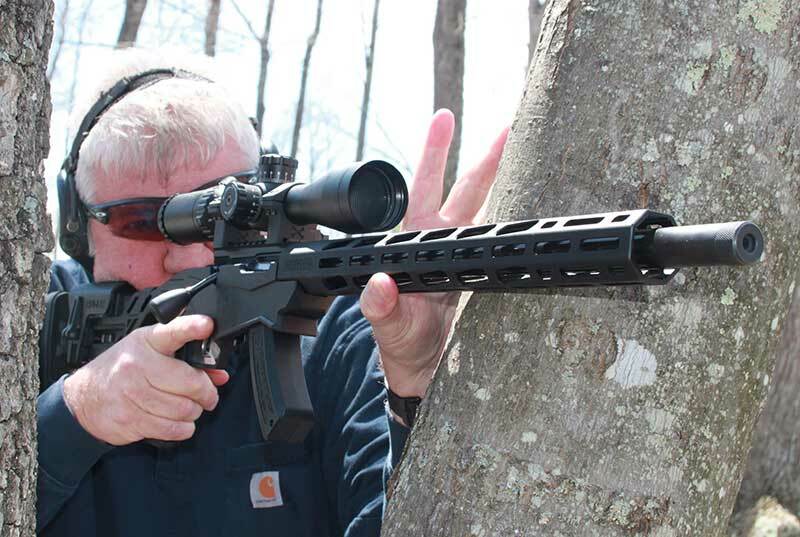 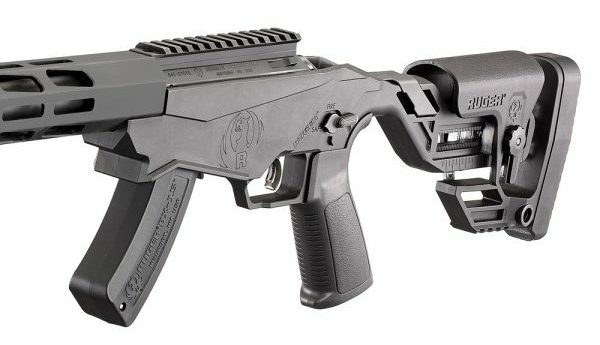 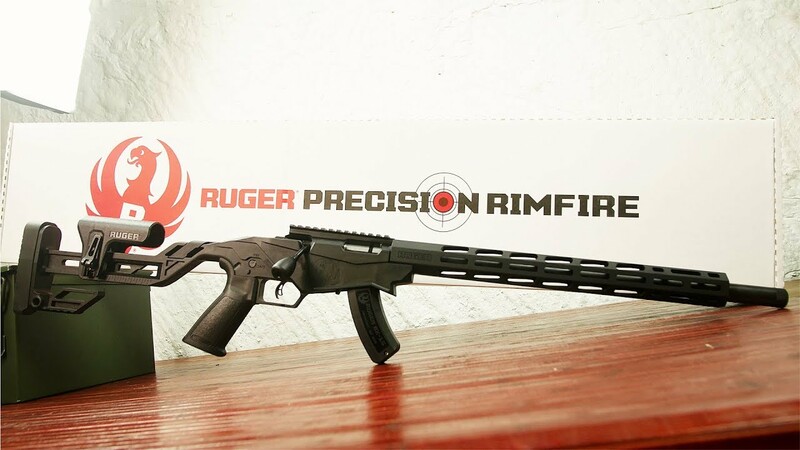 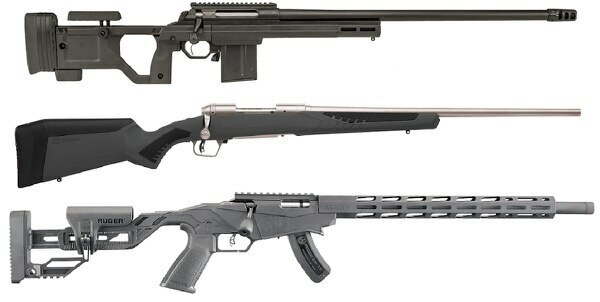 The Ruger Precision Rimfire is an 18”, 6.8 lb., bolt action rifle with a 15 round magazine provided (though it will accept standard Ruger 10/22 magazines). 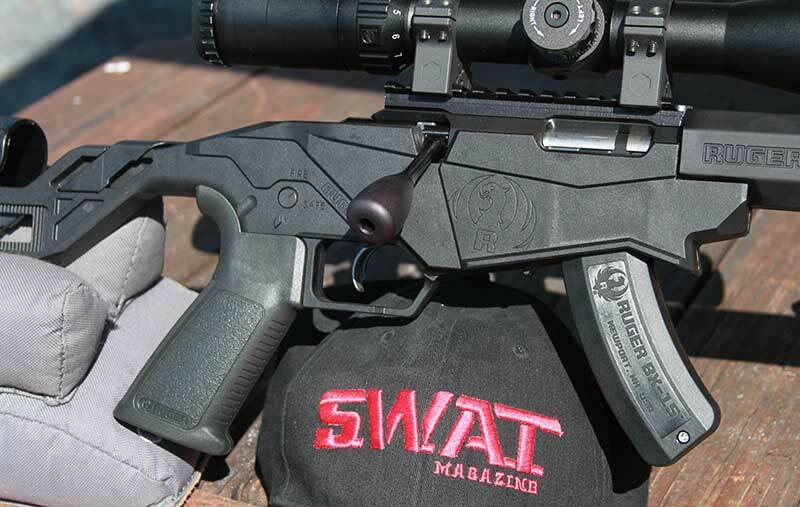 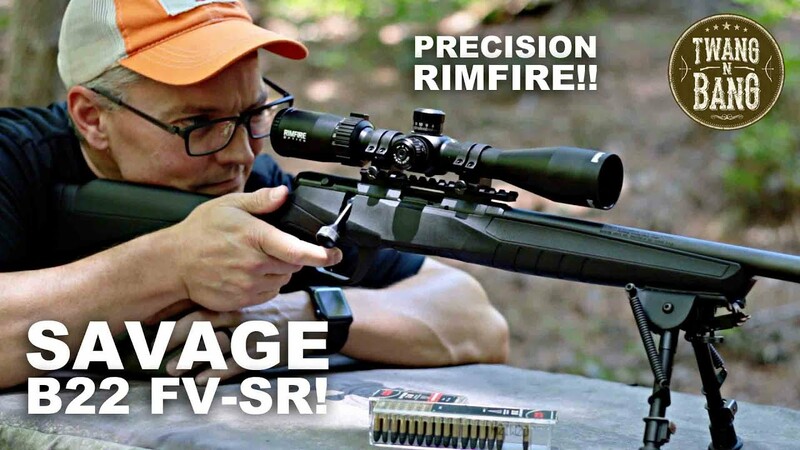 Fed with CCI's new Varmint Tip ammo, Savage's new semi-auto A17 in . 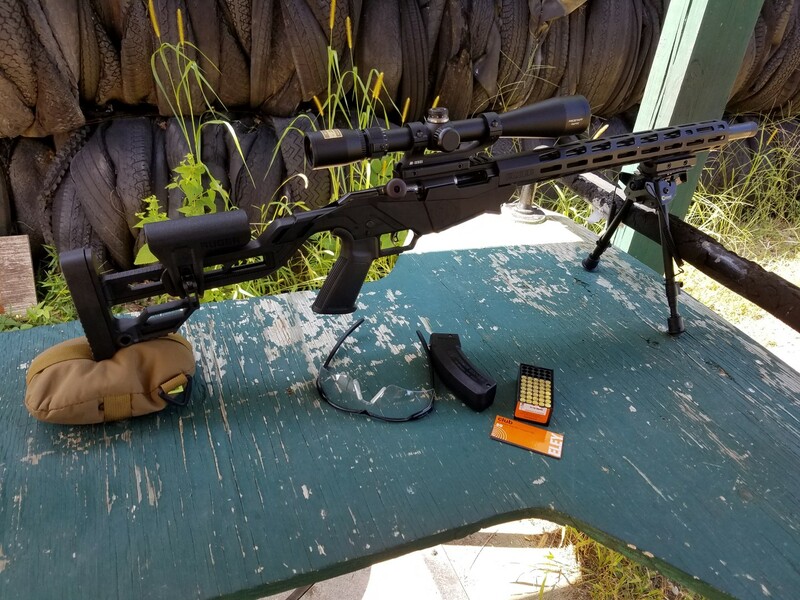 When we first saw this rifle and spent a day shooting it during a Ruger writer's event at Gunsite we used excellent Eley target ammunition. 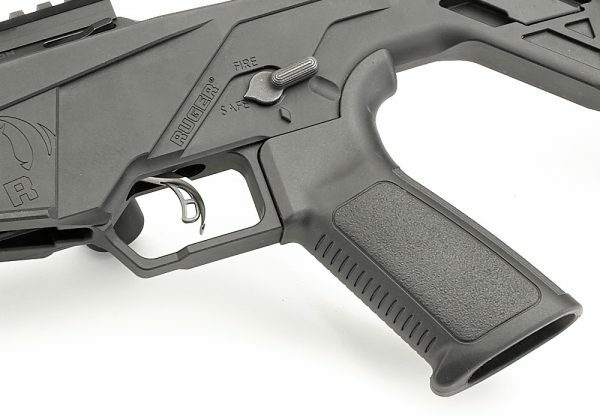 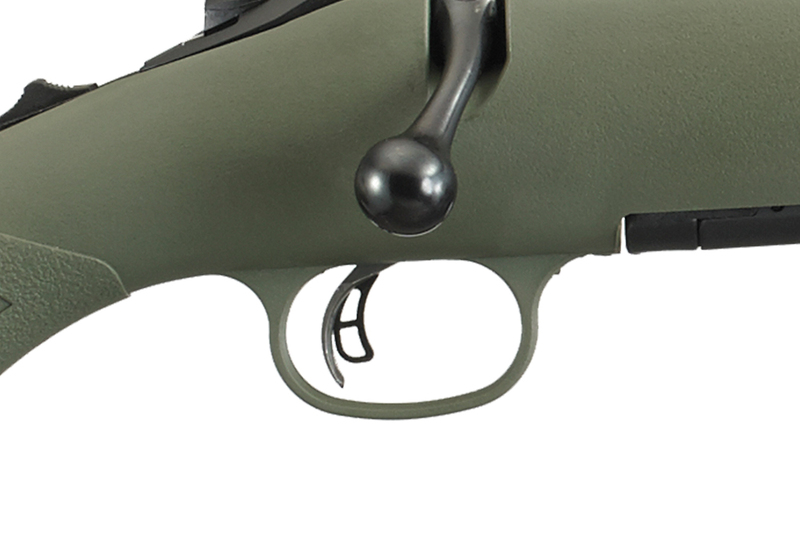 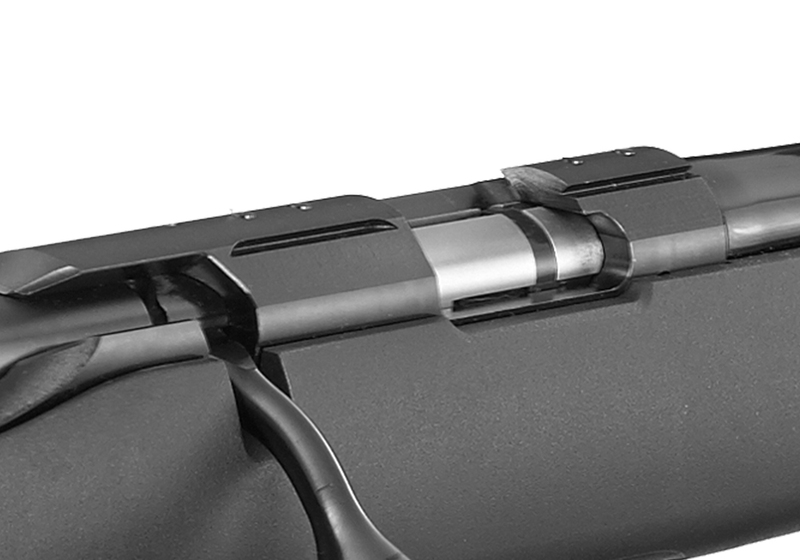 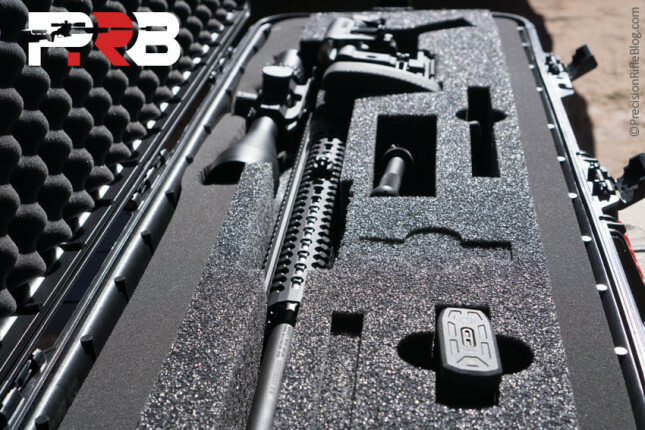 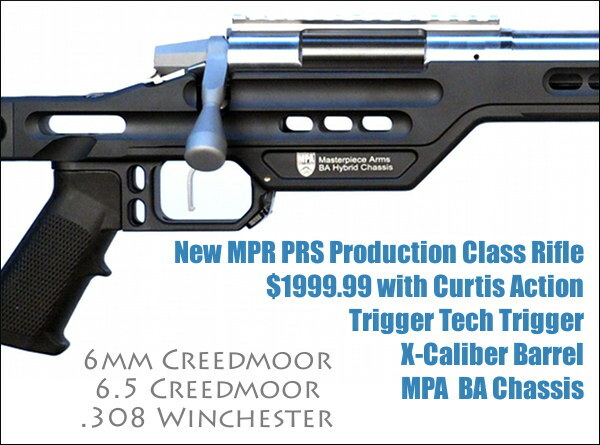 Also includes: Williams™ fiber optic front sight and adjustable, "V" slot, folding-leaf rear sight; sling swivel studs.